Proper blog to follow but for all the Irish Foodies doing the Cookalong this evening here is our Winter Warmer – really rich and seriously tasty! Serve with crusty bread and Man O’War wine. Last night we took part in our first Irish Foodies cookalong. Check out the Irish Food Bloggers Association website for more information. We only heard about this on Wednesday and didn’t think we could take part as we were determined to cook prawns (as our freezer was full of them). Also the theme was Winter Warmers which to us means pie or stew or pumpkin or chestnuts, but not prawns. 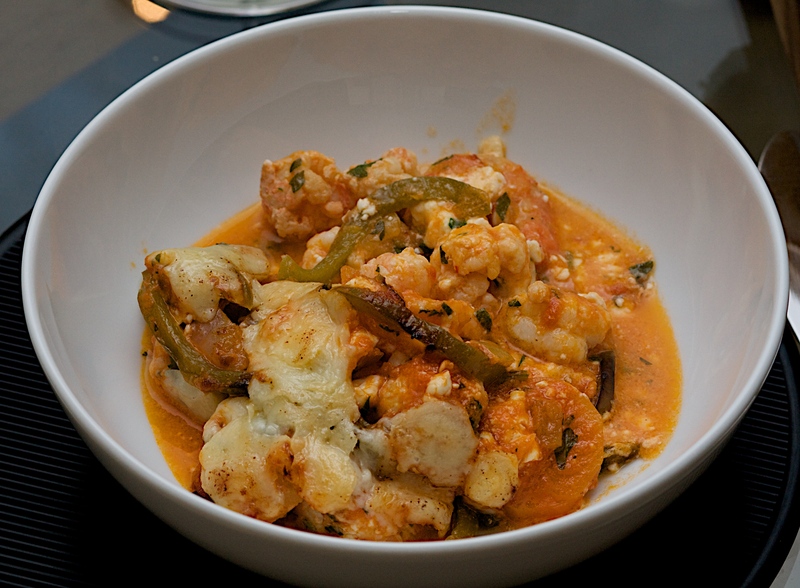 Still never ones to turn down a challenge (and not wanting to miss out on all the fun) we set about finding a Winter Warming prawn dish and I think we managed it with our Baked Prawn Casserole (from Vefa’s Kitchen). We were at a fabulous Lustau Sherry tasting on Thursday night which inspired us to have some nibbles and Sherry to start (see post below) – all very festive. Put 1.5kg peeled prawns into a saucepan, add 4 tablespoons of water, bring to the boil, and cook for 5 minutes. Drain and keep the liquid. Melt 60g butter in a pan and add a large chopped onion, cook for 5 minutes or until soft. 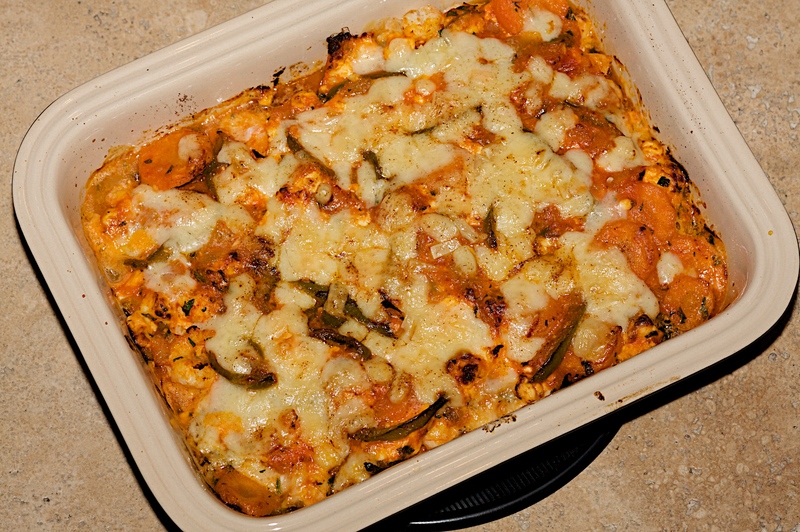 Add a sliced carrot and a green pepper cut into thin strips, cook for another 5 minutes. Whizz up a tin of tomatoes until smooth and pour into the pan along with the reserved prawn liquid, season, and simmer for 15-20 minutes, until thickened. Meanwhile, preheat the oven to 200C and brush and ovenproof dish with oil. Take the sauce off the heat and stir in 250g crumbled feta and 4 tablespoons of finely chopped parsley. Spoon the prawns over the base of the prepared dish and pour the sauce over them. Sprinkle with 150g diced Gruyere and a pinch of cayenne pepper and dot the top with butter of drizzle with some olive oil. Bake for around 30 minutes, until the top is lightly browned. We served this in bowls with some crusty bread for mopping up all the lovely sauce. 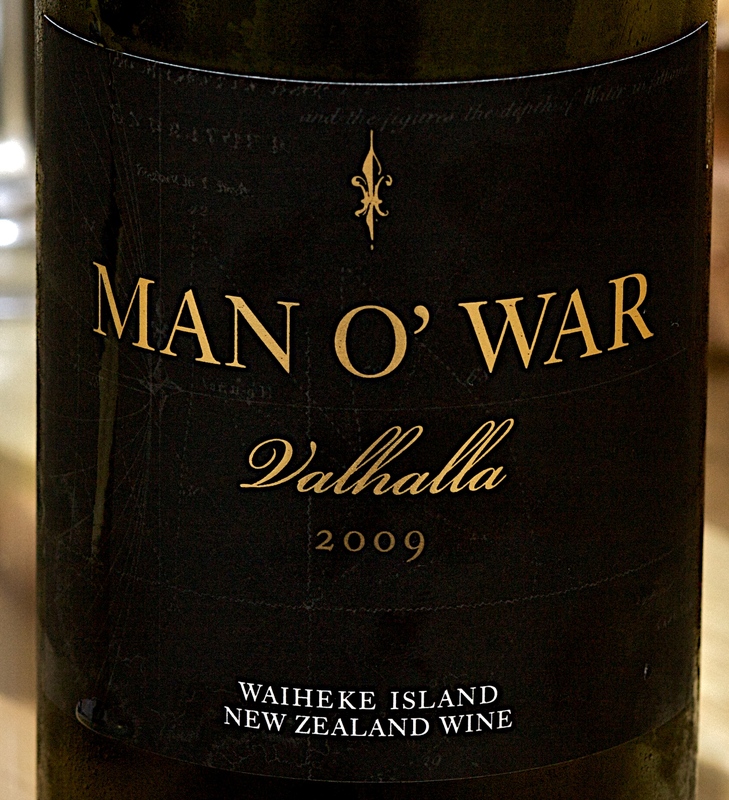 Our guests brought us a bottle of Valhalla Chardonnay 2009 from Waiheke Island, New Zealand (which has just arrived this week in O’Brien’s). The wine worked perfectly as it had the weight to pair with the richness of the dish.